Gift Planning includes both gifts made today or in your estate. Current gifts may include a qualified charitable distribution from your IRA, or a gift that pays you income for your lifetime (or your life and the life of a second beneficiary) then benefits the college upon passing. Keep reading to learn more about strategies that best fit with your retirement and estate goals. We are here to help. The Barnes Legacy Society is named for Chemistry Professor Otis A. Barnes and Margaret Tyson Barnes '27, in recognition of their generosity to the college through their estate plan. 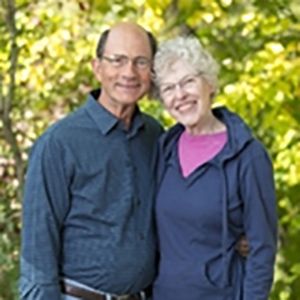 The couple was active in many facets of campus life including athletics, the founding of KRCC, and, of course, the natural sciences. In 1952, the Barneses established a trust to provide scholarships for chemistry students. The trust, still in existence today, has provided full scholarships to hundreds of CC students, known as "Barnes Scholars." Margaret and Otis Barnes embodied a lifetime of generosity at CC and in the community. The Barnes Legacy Society, established in 1987, honors those who kindly provide a future gift for Colorado College. Future gifts of all sizes help support scholarships, faculty development, campus improvements, and co-curricular opportunities at CC. How to Give: Below, you will find strategies to discuss with your advisor. Please allow us to thank you and welcome you by letting us know you have included a gift to CC in your future plans, or if you'd like to do so. Explore below to see what best aligns with your charitable intentions. We have provided the information in a printable format for you to review or share with your advisor. We're here to answer your questions and listen to your ideas. Make a Tax-Free Gift from Your IRA if You're 70-1/2 or Older. Help CC Secure $100,000 for Scholarships. Include a bequest to Colorado College in your will. You can make your bequest unrestricted or direct it to a specific purpose. You may even indicate a specific amount or percentage of the balance remaining in your estate. Designate Colorado College as a beneficiary of part or all of your qualified retirement plan or your IRA. Normally the assets held in an IRA or qualified retirement plan will be subject to both income tax and estate taxes, but if you name the College as a beneficiary of a percentage (or all) of your plan, that portion will pass to Colorado College free of income or estate taxes. Designate your bank account to be payable on death (P.O.D.) to Colorado College when you die. There is no change in ownership, control, or benefit from this account while you're still alive. The payable on death designation takes effect only when you die, and causes whatever funds that are in the account to go to Colorado at your death. Designate your brokerage or investment account to be transferable on death (T.O.D.) to Colorado College when you die. It's not necessary for the T.O.D. designation to transfer all of the account solely to Colorado College. You can designate percentages of the account to pass to additional beneficiaries. To set up the T.O.D. endorsement, contact your investment advisor and provide the instructions regarding the change. A charitable gift annuity allows you to gain the security of fixed, guaranteed payments for life, receive a tax deduction for a portion of your gift, and make a gift to Colorado College that you may not have thought possible. Secure Payments: Your annuity payments are guaranteed by all of Colorado College's assets. At the death of your last income beneficiary, the remaining annuity assets are transferred to the College to be used for a purpose you may designate or Colorado College's greatest need. If you don't need income right away, you can obtain both a higher payout rate and a larger charitable deduction by establishing a deferred charitable gift annuity. A deferred gift annuity allows you to receive a guaranteed, fixed income for life that begins when you need it, and receive a tax deduction for a portion of your gift to Colorado College. At the death of your last income beneficiary, the remaining annuity assets are transferred to the College to be used for a purpose you may designate or for the College's greatest need. The minimum for establishing a charitable gift annuity with Colorado College is $10,000. Charitable remainder trusts allow you to make a gift of cash, stock, or real estate to Colorado College, receive a tax deduction for a portion of your gift, and receive variable income from your unitrust for life. When the term of the trust concludes, the remaining trust assets are transferred to Colorado College to support the College's mission or for a purpose you designate. The minimum for establishing a charitable remainder unitrust through Colorado College is $100,000. Future additions to the trust can be made in any amount. Giving publicly traded shares of stock, bonds or mutual funds to Colorado College allows you to turn an appreciated asset into support for students and faculty. You'll receive a charitable income tax deduction for the fair market value of your gift, and as a qualified non-profit, Colorado College can then sell the stock without having to pay capital gains tax. All the proceeds from the sale will be used for the charitable purposes you specify. You can designate your gift to the Colorado College Fund, to start an endowed fund, or to support a particular initiative. The real cost of your gift Is reduced, since you'll save on income and capital gains taxes by giving appreciated stock or mutual fund shares to Colorado College. A gift that gives you income back and an immediate tax deduction, while leaving the assets to Colorado College. A gift that gives Colorado College income for a few years, then is passed on to your heirs at the time you specify, with considerable estate and gift tax savings. Own your own business? It's also possible to give closely held stock to Colorado College. While potentially very tax-advantaged, gifts of closely held stock are not without their complexities and require thoughtful consideration on the part of all parties including: the shareholder, the company issuing the stock and Colorado College. Using real estate to make a gift allows you to turn an asset into support for students and faculty at Colorado College, receive a charitable income tax deduction, and potentially avoid paying capital gains taxes. A gift that gives you income and an immediate tax deduction, while leaving the assets to Colorado College. A gift that gives you a sizable tax deduction today and allows you to use the property for your lifetime, while leaving the property to Colorado College upon your death. You receive a charitable income tax deduction today for a gift that will help Colorado College in the future. Your executor's job is simplified, since your property will pass directly to Colorado College upon your death. At the end of your life, Colorado College can use the property or the proceeds from the sale of the property-either for the College's greatest need or for a purpose you specify. The minimum gift for establishing a retained life estate with Colorado College is $100,000. Making a gift of life insurance allows you to transfer ownership of a paid-up life insurance policy to the College. 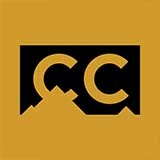 Colorado College elects to cash in the policy now or hold it. Designate the College to receive all or a portion of the balance of your fund through your fund administrator (you can also make a grant to us at any time from your donor advised fund). The balance in your fund passes to Colorado College when it terminates. A grantor charitable lead trust allows you to give an annual income to Colorado College, receive a charitable income tax deduction, and retain the trust principal when the trust's term ends. A charitable remainder unitrust allows you to donate cash or appreciated assets and receive annual payments as a fixed percentage of the trusts value. When the value of the trust increases, so do your payments and your gift to Colorado College. Your donation qualifies for an immediate tax deduction, and the assets in the trust are exempt from capital gains taxes. A family trust is also called a charitable lead trust because the charity takes the 'lead' in receiving income for a period of time with the remaining assets going to the donor's family when the term of the trust expires. The donor receives an immediate tax deduction for their gift, and the assets that pass to the family. If you're 70-1/2 or older, each year, you can instruct your IRA administrator to transfer all or part of your required minimum distribution (up to $100,000) directly to Colorado College and avoid paying the tax had you taken it as income. An IRA Rollover allows you to make a gift to Colorado College directly from your IRA, pay no taxes on the transfer, and count the gift toward your required minimum distribution. Transfers must be made directly from a traditional IRA account by your IRA administrator to Colorado College. Funds that are withdrawn by you and then contributed do NOT qualify. Gifts from 401k, 403b, SEP and other plans do not qualify. It can be rare to find opportunities that yield great results, yet come with little risk. However, a Charitable Gift Annuity (CGA) fits that perfectly, paying you income for life. Gertrude Arnold is a member of one of the oldest first families in Colorado, the Zang Brewing Family. Philip Zang came from Germany in 1855 and started a brewery in Louisville, Ken., eventually moving to Denver in pursuit of GOLD - liquid gold! Initially working alongside John Good at the Rocky Mountain Brewery, Philip purchased and renamed it Ph. Zang Brewing Company. His son, Adolf Zang, grew the family business by building several hotels and an amusement park, called Lakeside. "For more than 70 years, CC has been close to her heart and is the place where she entrusts her gifts today and through her estate." Both Philip and his son, Adolf Zang, were philanthropists who gave without looking for public recognition. Their granddaughter Gertrude graduated from Colorado College in 1944 with a degree in chemistry. For more than 70 years, CC has been close to her heart and is the place where she entrusts her gifts today and through her estate. 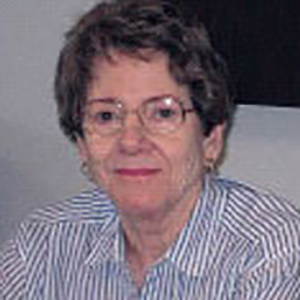 Gertrude first purchased a CGA benefiting Colorado College and herself in 2007. She believes that this is the smartest way to give - and to receive. In fact, Gertrude believes so strongly in the benefits of a CGA that she has established four income-producing gifts with CC, taking advantage of a gift that provides income in retirement, and the satisfaction of knowing the remainder will go to her alma mater. Fifty years after graduating from Colorado College, Robert Grant '65 called his alma mater to make a significant commitment to the Otis A. and Margaret T. Barnes Chemistry Scholarship Fund. Otis Barnes, professor of chemistry, along with his wife Margaret Tyson Barnes '27, established the scholarship. Grant was fulfilling a promise he made decades earlier as a Barnes Scholar at CC. 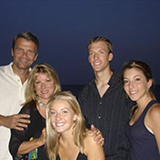 "I had hoped for many years to contribute to the Barnes Scholarship Fund. It was expressed in the original agreement I signed as a student that at some time in the future, if I could make a contribution, I should," said Grant. "I wasn't able to do so until retirement." 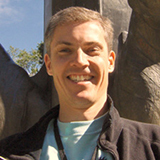 Grant, who is married and has children and grandchildren, earned a Ph.D. in biochemistry from the University of Wisconsin, Madison. He spent the majority of his career in Pfizer's medical device division leading biological research groups. Recently, he took another look at his estate plans. "I spoke with a financial planning counselor with Covenant Trust Company, a service of the Evangelical Covenant Church. He recommended making charitable gifts from my Individual Retirement Account (IRA) rather than from my trust," said Grant. "I decided to reword my IRA Beneficiary Designation to include a gift to the Barnes Scholarship Fund." "By contributing to the Barnes Scholarship Fund we can help perpetuate the same benefits for future students." The timing of Grant's decision, and of his call to the college on July 1, could not have proven better. July 1 happened to be the first day of the CC Scholarship Challenge 101, made possible by an anonymous donor who committed $10 million through estate plans to encourage members of the CC community to establish or enhance 100 scholarships - in addition to his own - either through an estate or an outright gift. "It was purely a coincidence that I called the college on July 1, but it was great to learn that because of timing and the tremendous generosity of someone else my commitment will be multiplied by 150 percent," said Grant, whose $200,000 designation will draw another $100,000 for scholarships through the challenge. After donors make a commitment of $100,000 or more to endowed scholarships, the anonymous donor directs $100,000 to CC scholarships. To qualify for the challenge, gifts can benefit these types of CC scholarships: student financial need; academic merit - like the Barnes Chemistry Scholarship Fund; Division I athletics; or legacy scholarships, which are designated for children or grandchildren of CC alumni who attend the college. When it is successfully completed, the challenge will raise at least $20 million for scholarships. Colorado College was never on Grant's radar when he was a student at Fairmont High School in Minnesota in the late 1950s and early 1960s. "I had not considered CC and was not aware of the scholarship opportunity," he recalls. "A guidance counselor thought of me and, knowing my financial need, told me about this great opportunity. 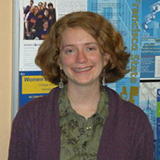 I became the fourth recipient of the Barnes Scholarship in five years from my high school." For Amairani Alamillo '16, the student speaker at the Scholarship Appreciation Luncheon in 2016, Colorado College was among the top choices of schools she hoped to attend. The financial assistance CC provided was a deciding factor. "I was able to attend Colorado College and not have to take out a lot of student loans," said Alamillo, who has been the recipient of six scholarships during her time at Colorado College. "I have attended the Scholarship Luncheon every year I have been a student at CC," she said. "It's one of the events I look forward to the most. Each year, I told myself 'I want to be that student up there' - the one who speaks - because I wanted to express my appreciation to everyone who makes scholarships possible." Grant shares a similar appreciation. "I hope other recipients of Barnes scholarships also feel that Dr. and Mrs. Barnes' gift to them made a difference in their lives," said Grant. "By contributing to the Barnes Scholarship Fund we can help perpetuate the same benefits for future students." For additional information about the CC Endowed Scholarship Challenge 101, contact Stephany Marreel, director of gift planning at (719) 389-6231 or stephany.marreel@coloradocollege.edu. Professor Emeritus of Chemistry and Biochemistry Nate Bower sees firsthand the need for financial assistance to pay students for their summer research internships. "Students in chemistry and biochemistry need to do internships to get valuable research experience for graduate school and careers. Simply completing the academic program isn't enough. The problem is, there's never enough grant money available to pay for all the internships, which can be limiting for students," said Bower. At CC, students can collaborate with faculty in a 10-week internship, pursuing either their own original research ideas or assisting their faculty mentor with his or her ongoing research. So Bower decided to establish a "whole life" life insurance policy - naming Colorado College as the beneficiary - that will fund student-faculty research and summer internships. While this particular mechanism for giving obviously benefits the college, it also benefits Bower. He gets a tax write-off for the insurance premiums he pays. It's a win-win. 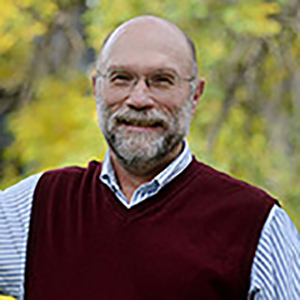 Bower, who has been teaching chemistry at Colorado College since 1977, earned his B.A. from the College of Wooster and Ph.D. from Oregon State. Bower said he has set up a similar arrangement for giving to the College of Wooster. Bower was raised to value both saving and giving, and they have always been a part of his personal financial planning. "In my family, I was raised to tithe, to set aside 10 percent right off the bat for charitable giving, and also to set aside 10 percent to save and invest for yourself. When you pull those out on the front end, and make your budget from the remainder, it makes it possible to do some interesting things," he said. Not surprisingly, Bower is passionate about and personally invested in the power of education to change individual lives and also change the world. So, that is where he likes to focus his charitable giving. "H.G. Wells said 'Civilization is a race between education and catastrophe.' Looking at environmental problems in the world, etc., I believe that is as true as it's ever been. My goal is for my gift to go on growing over time to help students and help them make a difference in the world," said Bower. "Somebody did that for me, and I really appreciated it. I would like to provide that opportunity for somebody else." From majoring in history at Colorado College, to spending two years in Ethiopia with the Peace Corps, to teaching, to banking, Father Henry Doyle '73 gained many experiences that ultimately prepared him for his calling to become an Episcopal priest. "Immersion in these areas has prepared me for a life of service to others," he says. Doyle's service has been both prolific and meaningful, particularly through his contributions at Shattuck-Saint Mary's School and in his community of Faribault, Minnesota. 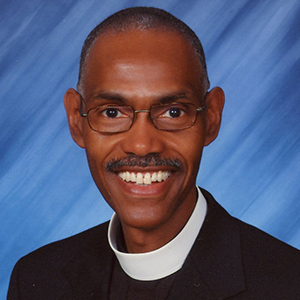 He leads worships at Episcopal churches, as well as those in other Christian traditions. He frequently visits nursing homes, where he also celebrates masses, and he serves on the board of the Faribault Area Food Shelf. Doyle is in dialogue with Somali and Hispanic leaders, and he has spoken at intercultural events. For the past six years, he has planned and led Hands Across Faribault, which empowers hundreds of students, faculty, and alumni of Shattuck Saint Mary's School to contribute to the community through a day of service. He has received numerous distinctions in recognition of his work, some of which include the Sertoma Club's Service to Mankind Award; Faribault's 2014 Citizen of the Year; and the Grand Marshal of the Heritage Days Parade. Doyle recognizes the role that his Colorado College education has played throughout his life. "Professors challenged me and encouraged me to support my thoughts, points of view, and beliefs with substance, clarity, and conviction," he says. "They liked teaching, and they dedicated themselves not only to teaching the subject matter, but also to character formation. They brought out the best in me. What I experienced I have aimed to put into action in my life." "The college has given me more than I can ever give in return." Recently, Doyle made a commitment to Colorado College through his estate plans. "In large part, the contributions of those who have gone before us made it possible for students who followed them to receive an education at the college," says Doyle. "Their gifts, in any amount, mattered and kept the doors of the college open and receptive to those who became a part of the college community." Doyle's commitment qualifies him for inclusion in Colorado College's Barnes Legacy Society, which recognizes donors who have made provisions for the college through their estate plans. "The college has given me more than I can ever give in return," says Doyle. "I have chosen to invest in my alma mater through my estate plan because it enables me to make one last monetary contribution." 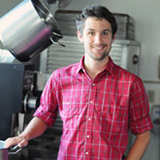 Colin McCarey '12 served as manager of the CC Community Kitchen for three years. Every year, Colorado College hosts an event to honor and celebrate those who have generously provided funds for scholarships and the students who benefit from that generosity. At the April 2012 Scholarship Appreciation Dinner, then-senior Colin McCarey delivered a powerful speech about the impact of CC on his life, which conveyed the importance of this type of philanthropic support. An anthropology major with an art history and English minor, Colin completely immersed himself in CC and everything it offered. He served as manager of the CC Community Kitchen for three years, was a member of the Phi Gamma Delta fraternity, served as a new student orientation leader and worked in the admission office. We are pleased to share with you some excerpts from Colin's speech, which was so moving and influential that it inspired some donors to do even more. "I can neither quantify nor describe the great opportunities that I have had at Colorado College. I cannot express with words the things that I never expected to do, think or see that I have done, thought and seen. The classes and clubs, the friends and discussions...the true impact of these is engrained in my very being." "It is great to attend a school willing to take a risk. It is great to attend a school where students are encouraged to pursue great opportunity and assume great responsibility. Colorado College presents a broad field of chances to excel and gives each student the resources that she or he needs to explore their passions." "This, to me, is what makes CC great. This is why I feel so incredibly lucky to have been accepted and received the funding that I needed to attend Colorado College." "Not every school places such confidence in its students, but it seems to me that the key to excellence is in the willingness to take risks, to give students the resources and support to do unexpected and extraordinary things." "CC takes risks. The block plan itself was a risk, and it has proven itself mightily worthwhile. This is what sets Colorado College apart, and I sincerely hope that the College will retain its spirit of individuality and exploration in the future." "When I graduate this year, I will leave with confidence and pride. I feel that I know how to question, address and improve the world that I will enter." "CC has given me the world. But CC was given to me. You all in the audience, you did this for me. It is because of your generosity and faith in this school's mission and in its students that I am here-that any of us scholarship recipients are here. I would never have made it to this podium if not for your dedication to Colorado College and to taking risks on students who could not make it this far on their own." "I have developed a great confidence that CC will always have a place for students like me. But you, you more than anything else, reassure me that the future here will be more vibrant than the present. Your contributions in scholarships and aid are critical to the Colorado College that I know, and the surety of the funds that you have created dispels the fear in my mind." "Students like me will be able to come to CC in the future. I cannot possibly express my gratitude for that. ..."
Find out how you can help a student like Colin. Contact Stephany Marreel, director of gift planning at (719) 389-6231 or stephany.marreel@coloradocollege.edu today. For David "Knobby" Knoblauch '69, education has played a primary role in his life. Student, teacher, coach, and mentor, David is passionate about the need for education in one's life. This is somewhat ironic, because David originally chose CC because there was no language requirement in the 60s when he applied! (CC has a language requirement now). David grew up in Minneapolis, which continues to be his home. While at CC, he majored in economics, played on the freshman hockey team, and formed friendships with classmates who remain some of his best friends today. Like most CC students, David was inspired by devoted faculty, especially Paul Bechtol and Ray Werner, who encouraged him to experiment with new thoughts and challenges. David has loyally supported CC through annual gifts and has now included it in his will. "I believe CC continues to hold itself to very high standards and has earned its inclusion in Sue and my planned gifting," says David. David's wife, Sue Woodrich, attended Luther College in Iowa and shares his passion for education and teaching/coaching. "Sue and I both believe that education is the critical element required to sustain and nourish an ever-evolving population. Furthermore, we believe there are two components critical to creating a superior educational experience: Access to educational opportunity for all qualified students, regardless of their ability to fully fund tuition; and an exceptional faculty to teach them. To that end, Sue and I have included Colorado College as one of the beneficiaries in our wills with designated future gifts to the college's General Endowed Scholarship Fund, and to a permanent fund in support of faculty research and development. With these gifts, we hope to help ensure that CC's positive educational experience will be available for future generations of students." David's life after CC continued to revolve around education. He was a lower and middle school teacher, high school and college coach, and later helped mentor some of his former students. David was part of a group that founded a scholarship at his high school, Blake School, which honors a beloved coach and mentor. The scholarship is now the largest, multi-donor endowed fund at Blake and has affected the lives of many students. David has continued to keep CC in his life. In addition to his philanthropic support, he has attended reunions and functions on and off campus. Many of his friends' children have attended CC, allowing him to receive more current evaluations of the college from a different generation. "The Colorado College experience has afforded me the skills, support and experience necessary to become a critical scholar and an engaged member of the community. I have had incredible professors beginning with my very first block and continuing now into my senior year. They have challenged my assumptions and sparked lifelong passions. My experience inside and outside the classroom at CC has inspired me to continue my study of feminist and gender studies at graduate school. I plan to obtain my PhD in hopes of becoming a professor. My scholarship made this possible for me." Who Opened the Door for Marley? Marley is a recipient of the Robert J. Cosgrove Memorial Scholarship. 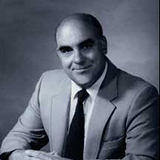 Robert Cosgrove, class of 1949, was a former scholarship student and established this scholarship through a bequest. He expressed his hopes that his legacy could be used in part to provide financial aid for worthy students. Robert was a Montana native and an English major. In 1956, he joined the Spokane Washington Chronicle. Robert retired as a copy editor in 1987. He died in 1991, but his legacy continues strong still today. Like Robert, a bequest in your will is a powerful way to leave a legacy of support for CC students who need it most. For more information contact Stephany Marreel, director of gift planning at (719) 389-6231 or stephany.marreel@coloradocollege.edu. We're glad to help. When Julie Johnson and Preston Sargent headed to Colorado College in the fall of 1975 for their freshman year, they had no idea how significant that first room assignment would be. Julie came from Chicago and Preston from New Jersey. Mathias Hall was the campus destination for both. As it turns out, Preston had to walk through Julie's wing to get to his room on "2-east," so they had many opportunities to become acquainted. Smart kids-it didn't take long to find out they had a lot in common. Preston took the next year off to ski-bum and travel while Julie continued her studies at CC. But that didn't mean total separation. Julie visited Preston in Vail to ski and their friendship continued to grow (you might say snowballed-Ha-ha). Preston returned to CC in the fall of 1977 and the rest, as they say, was history. Their college memories are similar to other alumni of those days at CC. They loved the Block Plan and studied hard as political science and economics majors, enjoying classes and professors (like Ray Werner) that influenced them deeply. They attended hockey games, played Frisbee and softball in the quad while music blared across the campus, skied and participated in Greek life. Well prepared to write and communicate clearly and think critically, the two went on to their next adventures. For Preston that meant law school and a career in real estate investments/advisory. Julie headed onto graduate school and a career in the executive search field. It also included having a family-a son and two daughters. Today, Julie and Preston live in the Seattle area. Through it all, CC has remained a constant in their lives, including keeping up to date on the latest news, following the hockey team's successes, planning and attending reunions, CC events in Seattle, and interviewing prospective students for CC. It even included sending one of their children (son, Blair) to their alma mater. Blair graduated with a degree in mathematical economics in 2010. They have a busy life, with many family, career and community obligations. But Julie and Preston have also made a point to always remember Colorado College in their philanthropy. "CC has played a critical role in who I am and in my life so it only seems natural that I would want to give back," Preston says. In addition to making annual gifts and being members of the President's Circle, the Sargents have included CC in their estate plan, making them members of the Barnes Society. "We certainly hope this gift is still a ways out, but we're aware of the importance of thinking through issues around retirement. It seems only prudent to consider how philanthropy fits into our overall estate planning," Julie says. "There's no reason not to commit early to supporting the next generation of CC students, especially when you know your feelings won't change." "I am never afraid to give what I have because, in the end, more comes back to me." This was one of Donald Manzelli's favorite sayings and he dedicated his life to living it. From the moment he stepped onto the Colorado College campus, Don - a member of the Class of 1953 - developed a deep appreciation for and commitment to the college that never ended. Don started his own business soon after graduating from CC with a Bachelor of Science in Engineering. During his career in construction focusing on design/build, he created countless structures all over Massachusetts, winning many awards and accolades. In his personal life, he was involved in music and musical theater, drama, photography, and flying among many other interests. Don's dedication to CC remained constant. He served as Class Agent, and played a leadership role in creating the Class of 1953 Scholarship Fund, which assists one student to attend CC every year. He also participated in and later led the Boston/New England alumni group for decades and hosted scores of events at his home - entertaining CC leadership, alumni, entering freshman, prospective students and their parents. In fact, preparing countless mailings was a regular family affair with everyone pitching in to stuff and lick envelope after envelope of CC mailings. Janet Manzelli (Tufts 1950) recalls one of many memories from their 50+ years of volunteering. The hockey team was visiting Boston, and after a victorious game, Don treated the entire team to dinner where "they ate just about everything on the menu!" Don's passion for Colorado College extended to the next generation. Having grown-up with CC as a constant presence in their lives, it was inevitable that two of his children would come to CC! Marta graduated in 1979 (BA English) and Jeff followed in 1989 (BA Art). Don was a genuine philanthropist - in the truest sense of the word. For Colorado College, that meant becoming a charter member of the President's Council in 1968, later serving as its Chairman. When the 1874 Society came along, Don was there, and then later he joined the new President's Circle. In over 50 years, Don not only made annual gifts, but also provided for the college in his estate plans - ensuring his commitment to CC will continue for years to come. This was foremost in his thoughts throughout his later years-to help CC help others long beyond his lifetime. Barbara Yalich, also a member of the Class of 1953 and former Vice President of CC's Alumni and Development Offices, recalls how Don was always willing to help. "He was never shy about asking classmates and others to step up to the plate," Barbara notes. "I will always remember him as one of the 'best of the best' volunteers I ever worked with." Don expended endless energy and enthusiasm not just for CC, but gave his all to countless charities from the YMCA to his favorite cause, The Council for Social Concern, a local food pantry and daycare center for children taken from abusive homes. Indeed, Don was "never afraid to give" and truly was always helping others at every opportunity! For that, Colorado College will always be grateful and proud to call Don one of our own. Colorado College is fortunate to boast many successful students who, almost invariably, become fabulous alumni. CC will only be greater through the dedication of our alumni. 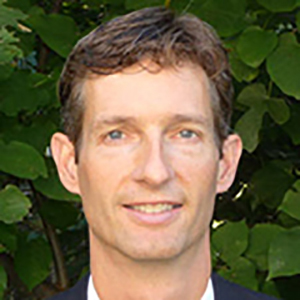 We asked one of our outstanding alumni, Eric Mellum from the Class of 1990, to share what he is doing now, his thoughts on CC and why he shows his support each year by making contributions to CC. I'm the practice director for a management and information technology consulting firm in the Twin Cities. I design and lead implementations of enterprise business intelligence and business transformation solutions. I also sing with the Minnesota Opera as a professional chorister, captain two soccer teams, drive for Meals on Wheels, serve on my church council and volunteer for CC as an alumni admissions representative. I also make sure to show my Colorado College pride and join the festivities whenever CC comes to town. My favorite memories include great friends, playing hockey (open, IM and club) and ultimate frisbee, singing in the choirs, block breaks in the mountains, living in Arthur House, being outside in the beautiful Colorado weather with a constant view of Pike's Peak, really getting to know the professors, and Roadrunner Pizza. I may have missed a year accidentally due to faulty record keeping on my part, but I've intended to donate every year to CC and have generally done so since graduating in 1990. My experience at CC was so enjoyable while I was there and played such a major role in preparing me for life after college. Online giving has been great, as it's quick and easy. It keeps me from having to deal with stamps, paper, envelopes, etc.-very green. It helps me avoid clutter in my home office. Plus, having electronic receipts makes it faster and more convenient to review contributions and prepare information for tax returns, etc. I believe in giving back and in the institution and the uniqueness of the whole CC package: The Block Plan, outstanding academics, a diverse and dynamic student body, wonderful extracurricular activities, and being "nestled" at the foot of Pike's Peak combine to make CC a college like no other. I trust that my gifts and those of my fellow alumni help CC continue to grow and provide outstanding experiences for students today and generations to come. Once referred to as the couple that walked the most miles on campus holding hands, Jim and Kathy (Vigil) Deichen are still strongly linked to each other and to Colorado College. It all began when the two members of the class of 1976 met during their first freshman block. Both became involved in campus life: Kathy as president of her sorority, and Jim with the basketball team and coaching Kathy's intramural softball and basketball teams. They studied hard as political science and economics majors. Professors like Walt Hecox, Tim Fuller and Ray Werner challenged them and prepared them for an unknown future-and in doing so, made lasting impressions on them. Well prepared to write and communicate clearly as well as think critically, the two went on to earn their MBA degrees at Northwestern University and move into successful careers. Jim went into banking and Kathy into marketing consulting. It was time to give back, and Colorado College was at the top of their list. And it has stayed on the list for three decades. In fact, the Deichens have made a gift to CC essentially every year for the last 30 years! They know that annual gifts are vital to the economic engine at CC-enhancing programs and assisting with the daily operations of the college. Perhaps most significantly though, is that every student and every professor benefits from annual gifts. As time went on, something else felt right-to make their annual gift with stock. The Deichens' annual gifts over the last 10 years have all been made with appreciated stock. Why with stock? Jim and Kathy find it to be tax-efficient, and it allows them to be more generous than if they just wrote a check. Jim and Kathy's expanding link and commitment to the college have grown to include their three children, who have all attended CC. Kendall graduated in 2006 and is currently pursuing a master's degree in counseling; Troy just received his degree in May and works in banking; and Jordan is exploring creative writing and will graduate in 2012. Today, Kathy runs a theater production company with a board of directors composed mostly of former CC classmates, and Jim serves as a guest lecturer in the economics department. No doubt, a family love affair to continue for many years to come! My wife Sheila Collopy and I had been looking at annuities for a few years prior to establishing our gift annuity with Colorado College. We liked the idea of setting aside money for the future to complement the typical tax beneficial ways to save for retirement-IRA, 401(k), etc. It was also important to us that this be an attractive after-tax opportunity. In our research, we read materials by investment managers and accountants, and we consulted with former colleagues. We analyzed the economics of fixed and variable commercial annuities. We concluded that the after-tax return of charitable gift annuities compares favorably with those alternatives. The real kicker is that by creating a gift annuity we benefit a worthy cause. Choosing CC was easy. It immediately came to mind because of my rewarding experience and the knowledge that colleges always have a long-term need for funding. "The real kicker is that by creating a gift annuity we benefit a worthy cause." When we contacted CC, we learned that it not only had a gift annuity program in place, but many other gift planning alternatives as well. At the Development Office's suggestion, we chose a flexible deferred charitable gift annuity, which includes a current tax deduction and the ability to receive larger payments on a date we select in the future. An important aspect to the gift annuity was the ability to donate highly appreciated property-in our case, shares of stock. In effect, we escaped paying upfront capital gains taxes by donating the shares directly rather than selling the stock and donating the proceeds. Credit considerations also played a part, as gift annuities are long-term gift arrangements. We are confident our gift annuity is secure at Colorado College, an institution with an Aa3 bond rating. The transaction was both an acquisition of a gift annuity and a charitable contribution. After the details were decided, we began to consider how best to direct the donation. We discussed the importance of international experience and the success of my time working and studying abroad. To promote similar opportunities and to help generate income for expenses associated with exchange programs, we established the John R. Young 1986 and Sheila M. Collopy Endowed Fund for Study Abroad. It is just a win-win situation all the way around! It is not unusual for someone who has done a charitable gift annuity to do a second or even a third-but 10? That's exactly what Ford White, Class of 1941, did. Ford established 10-that's right, count 'em, 10-charitable gift annuities with Colorado College. His first gift annuity, funded with cash, was in 2000. The next nine, all funded with securities, followed over the next seven years. Ford says, "It seemed like a good idea so I just kept going." Charitable gift annuities are simple, which is one of the reasons they are appealing and why we often have donors doing more than one. The modest amount needed to fund a gift annuity ($10,000 minimum) as well as the fixed payments you receive for life make them attractive. As of December 31 2014, Colorado College has 45 charitable gift annuity arrangements from 33 donors. Ford had gift annuities only with Colorado College. He felt a strong attachment to CC, having valued his education. He used the payments that he received from his gift annuities to help with everyday living expenses. 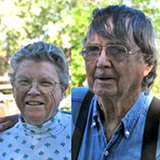 Ford and his wife, Lucille, were longtime residents of Grand Junction, Colo. They were avid gardeners and maintained a stunning display of flowers and shrubs. Ford was a loyal and thoughtful alumnus who was in his philanthropy. My time at Colorado College (1960-64) was the transformative experience of my then young life. I loved everything about it. I made life-long friends, had a view of Pike's Peak from my dorm room every year, and benefitted enormously from the dedicated teaching of talented and generous faculty who shared not just their subject expertise but their wisdom, support and guidance. Were it not for the encouragement I received from political science professors Glenn Brooks and Fred Sondermann, and others such as Bill Hochman and Albert Seay, I would likely not have pursued an academic career myself. "Without CC I would not have had the life and career I have." Colorado College had all that impact on my life and more. Since without CC I would not have had the life and career I have, it doesn't take a rocket scientist (good thing too!) to figure out one should do something to foster the College's future. While I've been a regular donor to the annual fund, I saw my 403(b) retirement account as the perfect vehicle to permit a more substantial gift. It was as easy as filling in the blank, literally! I just had to name Colorado College as the beneficiary. From my 13 years as a department chair, I know having a source of funds for department projects is a cool thing. Thus, my gift will go to CC's political science department for uses at their discretion. I only wish it could be substantially more! Mazie Campbell Conarty '53 does not consider herself unusual. As a nurse, wife and mother, she has always looked after others. It was in high school outside of Chicago that she learned the importance of giving back to her community. She maintains that philosophy today as a mentoring volunteer for the Natrona County elementary schools in Casper, Wyo. But what motivated Mazie to include Colorado College in her estate plans? 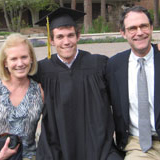 "While I only attended Colorado College for two years, I received the basic liberal arts background, which was a great foundation for pursuing my B.S. in nursing. The knowledge base that a liberal arts education provides gives students the latitude to specialize in any given field." "The quality of professors like Amanda Ellis, Pete "Chief" Tyree and Doc Stabler were amazing. The professors in my nursing program at the University of New Mexico just could not compare. I consider Colorado College to be an Ivy League school in the west." "Finding that my Procter & Gamble stock had appreciated, having split often, I needed to diversify. Fifteen years ago, I faced considerable capital gains tax as I looked at different stock options. My financial advisor suggested I establish a charitable remainder trust with this stock to benefit an institution of my choice. Naturally, I immediately thought of Colorado College. With the numerous tax implications and the ability to give a gift to the college, it was a simple decision. I receive income for life, and CC will receive a substantial gift upon my death." "Private institutions need our help. It is particularly important to support financial aid, in order to keep college as affordable as possible. I would like other students to have similar experiences to the ones I had at Colorado College." Because of this generosity, many students will benefit, and we thank you! Immortality is not the name of a new iris or even a reference to my beloved rebloomers. The type of immortality I have in mind is a legacy-a lasting memorial, a gift that keeps on giving, a tribute to one's love of his or her alma mater. Thoughts of immortality come to mind when attending a college reunion, as they did when I attended my 70-year college reunion. Only 7 of the 93 alumnae still receiving mail were able to attend. I had been receiving junk mail asking that this organization and that be remembered in my will! I was not receptive, since there are many children, grandchildren, and great-grands who have priorities for my pittance. For many of us, our special love is a college. (I also love my irises, and I tell my children that if they think I'm dying, to put me out in the garden-it always revives my soul!) How much more personal it is to remember the college in our wills rather than some group with which we have no personal association. Your donations to CC-now or later-can be designated for the general fund or for a special purpose, such as an academic department, scholarships, athletics or the library. Years from now, when your rhizomes have been divided dozens of times, when you are no longer on this earth, your gift will be strengthening the future of Colorado College. The benefits of your legacy donation will be far-reaching. That's immortality that everyone can achieve. Rosalie kindly shared this special story with us in the fall of 2002. Rosalie's deceased husband, Frank H.J. Figge '27, a biology major at Colorado College, served as chairman of the department of anatomy at the University of Maryland Medical School and was a distinguished author. In the early 1970s, the Figge family established an award in Frank's honor to recognize outstanding premedical students at CC. 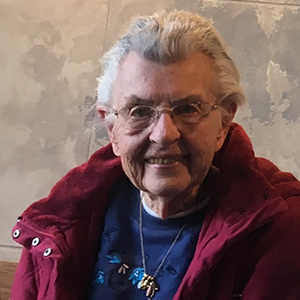 An alumna of Gaucher College, Rosalie was also a generous donor to Colorado College through its life-income giving program. She was a devoted fan of iris gardening and served as an officer of the American Iris Society. She continued to travel to annual meetings of the Society up until a few years before her death in April 2006. I would like to learn more about supporting Colorado College with a planned gift. I have already included the College in my estate plans. I haven't made plans for Colorado College in my estate, but it's on my to-do list. If you are working with a professional advisor, or advising a donor, here's a handy guide for including Colorado College in a charitable estate plan. © 2018 Planned Giving Marketing and Colorado College.